- The Salin Pesquiers, with Marsh Redon, covers a total of 550 hectares in the central part of the double tombolo of the Giens peninsula. -The old Salins, spread over 350 hectares, bordering nearly 3 km of coastline. Guided tours with a reduced number of participants to limit the disturbance for the birds. Info: Twenty metres from the beach, behind the racecourse, the family residence Les Stoechades is open all year round. 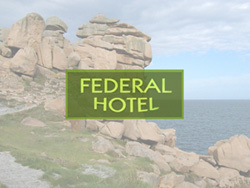 It offers a range of leisure facilities and comfortable accommodation. Info: Situated just 50 metres from the Mediterranean Sea, in the city of Hyères, this hotel offers Wi-Fi access and guests are welcome to relax in the shade on the garden terrace.